. . . for times when cake is the perfect choice! 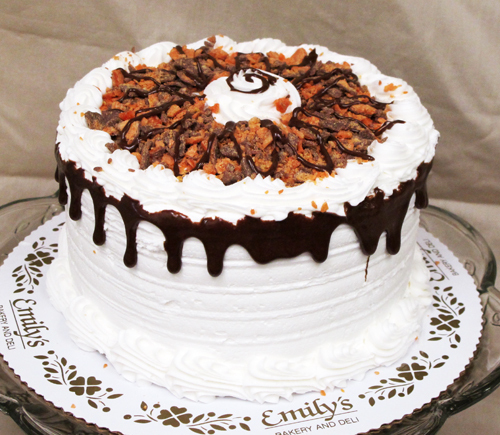 Emily's has many flavors to choose from, including red velvet, almond, carrot and the Heath candy cake pictured on the right. Remember, cakes are not only for birthdays! 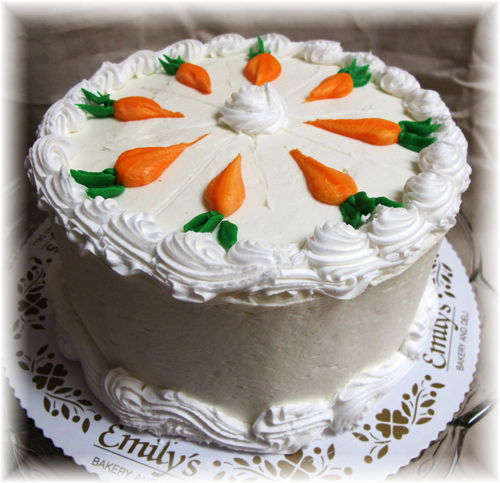 Copyright © 2013, Emily's Bakery & Deli, Inc. Your choice of either chocolate or white cake with chocolate or white icing and filled and topped with Heath candy pieces. For the filling fan! 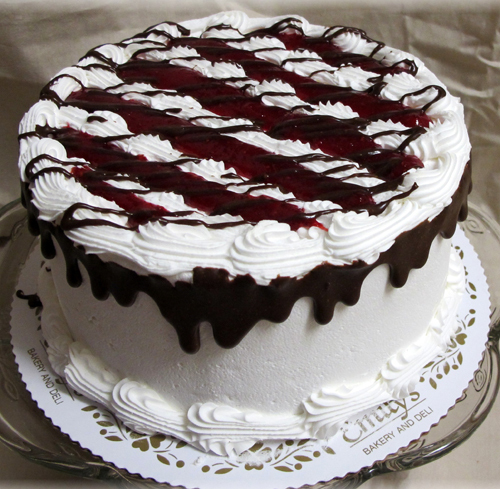 Raspberry filled and topped in your choice of chocolate or white cake with chocolate or white icing. Other options for filling include cherry and strawberry. had it, you must try it! 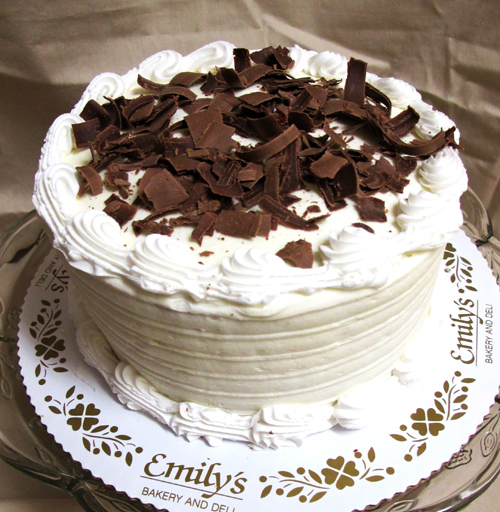 Choose chocolate or white cake with chocolate or white icing. 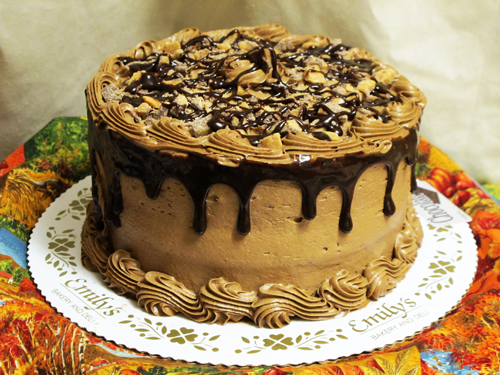 The inside has a Butter Finger filling and it is topped with Butter Finger pieces and chocolate drizzle. A Nutty Delight to taste and view . 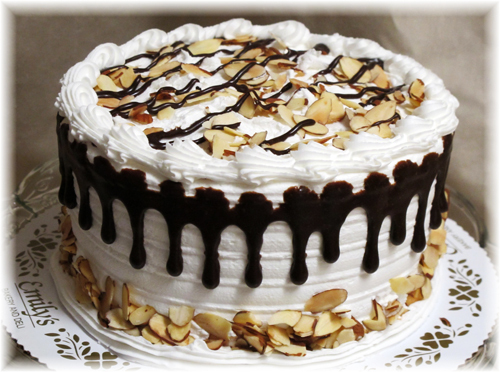 . . Almond Cake with white buttercream filling and icing garnished with sliced almonds and chocolate drizzle. 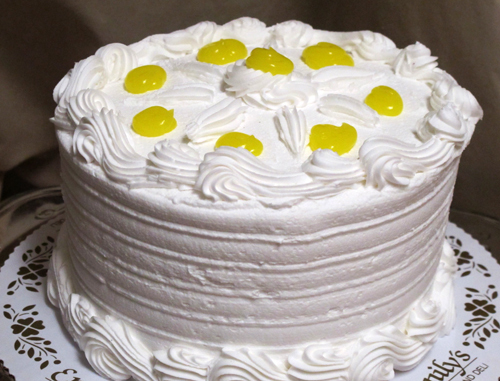 and white butter cream icing.